Horror Upon Horror – And Hope? There is never enough horror. In the first week of July, we learned that Eyal Yifrach, Naftali Fraenkel, and Gilad Shaar, the three Israeli boys kidnapped on June 12 were, in fact, murdered – within hours of their capture. Likely, the authorities were aware of that fact, given, among other things, the frantic cell phone call from one of the teens played at the burial. Israel reacted with a massive round-up of over 400 Palestinians suspected of being Hamas operatives. 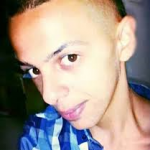 Five Palestinians died in the crackdown, including another teen, 15-year-old teenager Mohammed Dudeen. 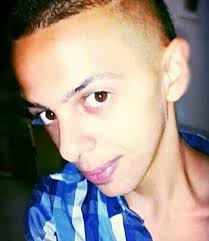 The burial of the three Israeli boys was followed, also within hours, by the brutal beating of a Palestinian teen, Mohammed Abu Khdeir, who was then set on fire. He died sucking in the flames consuming him. Terrors unfold so fast that there is no keeping up or holding back the bile. Yesterday I read an eloquent analysis of the horror of acquiescence. David Grossman’s essay “On hope and despair in the Middle East” was published in the Israeli newspaper Haaretz. “Today,” Grossman wrote, “in an Israel that has known so much disappointment, hope (if ever mentioned at all) is always hesitant, a bit timid, and apologetic. Despair, on the other hand, is utterly confident and self-assured, as if speaking on behalf of a law of nature, an axiom that states that between these two peoples there shall never be peace, that the war between them is a heavenly decree, and that altogether, it will always be bad here, nothing but bad. As despair sees it, anyone who still hopes, who still believes in the possibility of peace, is at best naïve, or a deluded dreamer, and at worst, a traitor who weakens Israel’s wherewithal by encouraging it to be seduced by false visions. It is eloquent, impassioned reading. For days I have remembered the nightmare years of the early 1980s, when I went on radio shows in Columbia, Missouri, as a local peace activist. I was asked to speak about the Israeli invasion of southern Lebanon. The Israelis were complicit, it had been discovered, in the Phalangist-perpetrated Sabra and Shatila massacres. Palestinians were murdered en masse while Israeli Defense Forces surrounded both camps, stationing troops in order to stop any residents from escaping the slaughter. And now, today in Israel? Tens of thousands of “likes” on a Facebook page calling for “revenge” for the murder of the three teens. Explicit calls from all directions to kill Arabs (or political leftists). Members of the Knesset quoting Torah to prove that there is a God of revenge who backs their murderously inflammatory rhetoric. And the like, as one would expect, from the “other side” is just as pernicious, just as hateful, just as ever-present. This is not “mere” extremism. None of this is spontaneously generated by the particular horror of the way those boys died. It is the result of years of hope suppressed, perverted, dismissed. In my lifetime, I have watched – yes, in horror – as Israel’s hope has been highjacked. And so I shall. Because there is enough horror.